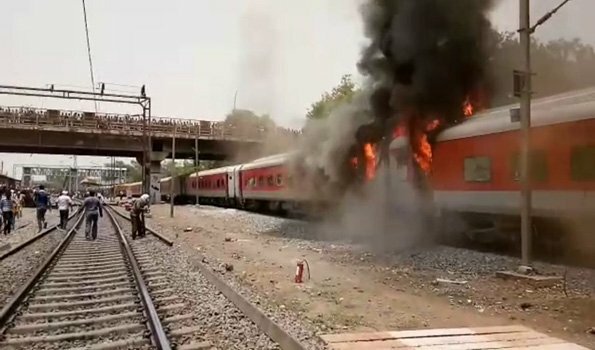 Gwalior: Three coaches of 22416 Andhra Pradesh SF Express caught fire at Birlanagar station near Gwalior on Monday morning. However, No casualty was reported in the incident. According to Railway officials, at around 1150 hrs, while the train was travelling through Birlanagar station, fire was observed in B5 coach which spread to B-6 and B-7. The first six coaches of the affected train was segregated and sent towards Gwalior.